Mac first donned overalls in the South West of France at the tender age of eighteen. That summer was the catalyst for a now 20 year long career which has seen Mac work with some of the most respected names in the business, both in Australia and overseas. 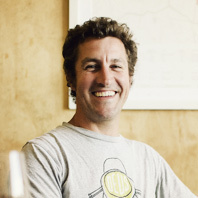 Mac’s early experiences covered the gamut of winemaking, teaching and marketing. From educating European distributors on Australian wines to consulting to Austrian winemakers, Mac developed a strong understanding of the international wine market and old fashioned winemaking. Returning to Australia in 2004, Mac kicked off his own project determined to marry some of the old world philosophies adapted to his beloved Yarra Valley. Determined, focused and able to multitask at high speed, Mac continues to drive the business forward. Vineyard and winery leases demonstrate his ongoing commitment to the Yarra Valley, and the next ten years look set to provide as much if not more excitement than the last. “We are committed to seeking out sites that we deem to be strong and unusual. Often these vineyards were unloved when discovered, however through listening to and learning from the sites themselves, we have been able to bring back the health of the vineyards and share their character through the wines we are now making,” Mac Forbes.